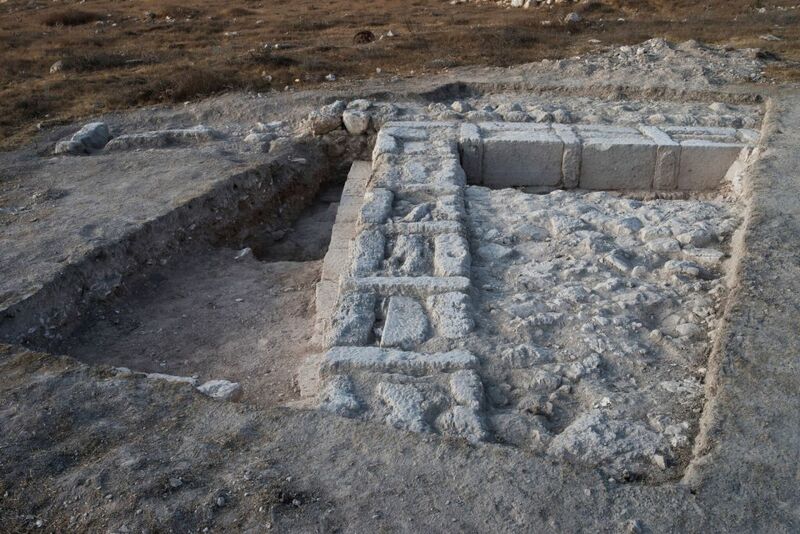 Very few structures, temples or otherwise, have been found that can be associated with the Edomites (also known as the Idumeans), explain the excavation directors, Dr. Oren Gutfeld of the Hebrew University, and Pablo Betzer and Michal Haber of the Israel Antiquities Authority. Drones are more commonly used by the military and people of leisure. 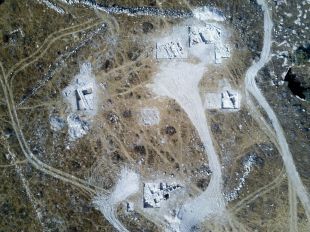 Archaeologists have been known to make use of satellite imagery which has revealed monumental structures in the Middle East from thousands of years ago, so big they aren't obvious at ground level, but this is the first known use of drones to study archaeological sites. More usually, surveys are done by archaeologists traipsing about on foot, peering hopefully at the ground. "When you walk, you see a stone here and a stone there, but with a drone, suddenly you see a line," says Gutfeld. Anyway, the drone photographed archaeological remains from a few dozen meters' height, revealing hints of the structure – which they then uncovered. Signs that the mysterious structure may have been a temple include stone incense burners found in one corner, carved to look like altars. One burner bears the carved relief of two bulls. 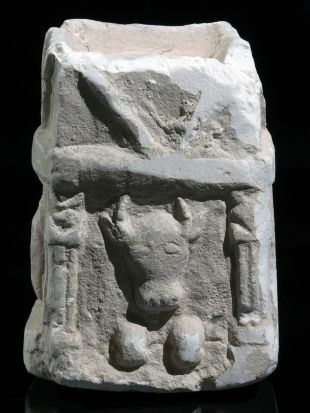 One of the bulls is reclining between two depicted temple pillars with elaborate capitals, and above his head, the moon rises. Now, bull worship was not a rare thing in these parts thousands of years ago: note the legend of the Golden Calf said to have beguiled the desert-beset ancient Israelites. There's a reason it wasn't a Golden Hyena. Why do the archaeologists think the temple, if that's what it was, was Edomite? The bull and moon were also hallmarks of Edomite worship, Gutfeld told Haaretz. Yes, they were worshipped by others, such as the Canaanites before them, and Nabateans, but neither peoples were relevant to this site. Also, yet again, attention is drawn to Joseph ben Matitiyahu, a.k.a. Josephus Flavius, the source of much knowledge about the Hellenistic period of the Holy Land. Among other things Josephus wrote extensively about the Edomites rising northwards from the Negev Desert to conquer the southern Shfela during the period in question. 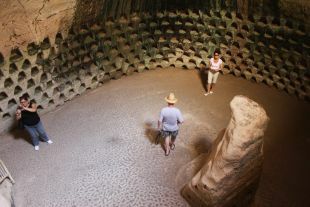 They established Maresha as their capital. Also, an Egyptian papyrus thought to be from the second millennium B.C.E. refers to Bedouin tribes from Edom entering the Delta region in search of pasturage for their cattle, Haaretz contributor Philippe Bohstrom observes. Josephus is the source of knowledge that on his way to Ashkelon, Judah Maccabee passed through Mareisha, which is polite antique language for "conquered" it. Or at least, Maccabee and the forces attacked the villages. While there is no proof that he himself or his soldiers attacked at Horvat 'Amuda, there is a stark conflagration layer. Alternatively the perpetrator could have been John Hyrcanus (164-104 B.C.E., roughly), says Gutfeld. The one thing that is clear is that somebody burned down the temple at about the right time, based on coins and pottery. After the Hasmonean conquest, the Edomites nominally became Jews: they were forced to circumcise their men by the Maccabean ruler John Hyrcanus I, in about 125 B.C.E., going by Josephus, Bohstrom adds (in Jewish Antiquities, XIII, 257, 258 [ix, 1]). 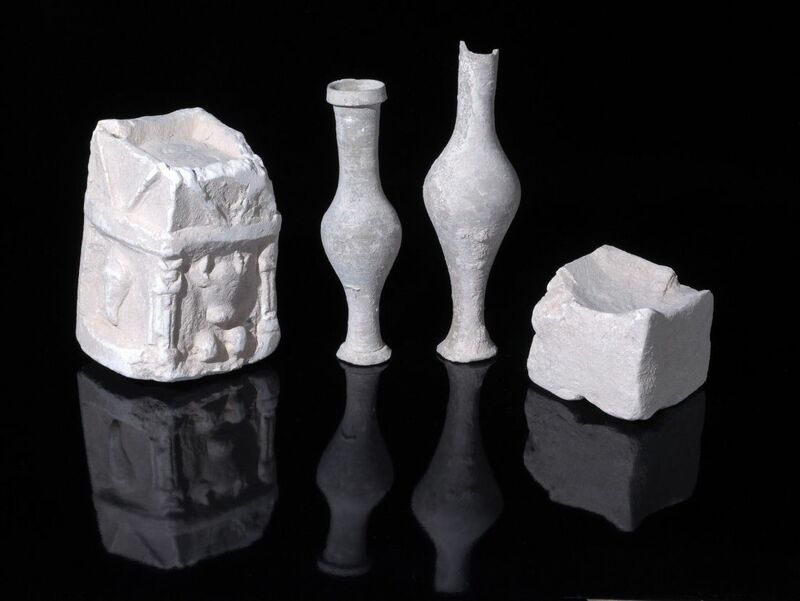 The archaeologists also found delicate pottery vessels, including painted bowls, long-necked juglets and oil lamps, possibly used in worship – some of which had been imported from Greece. Indeed, evidence of brisk international trading from the farthest reaches of antiquity is legion. Another discovery at the site was numerous underground spaces, used as quarries or as mikvas for ritual bathing, oil presses and dovecotes. The mikvas probably date from after the Hasmonean conquest, explains Gutfeld: they evidently date to some time from the 1 century B.C.E. to the 1st century C.E. 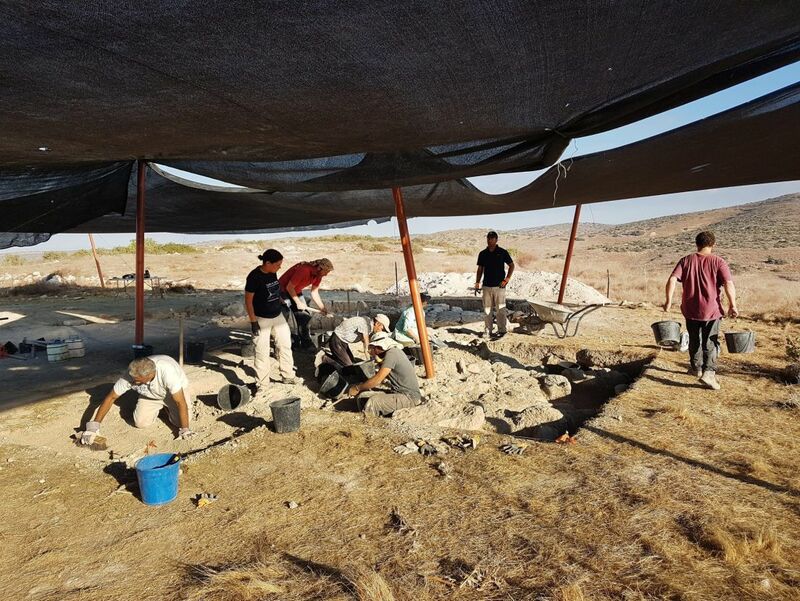 "We also found lot of stone ware, which we also think are late Second Temple period," he says. Such stoneware vessels are clear hallmarks of the ancient Jews, who believed that in contrast to pottery ware, the stoneware could not become contaminated. As for the dovecotes, called columbaria, the birds were extraordinarily popular in ancient times and not because they flapped about with olive branches in their beaks. Mareisha itself sports numerous dovecotes. "Both pagans and Jews cultivated doves for eating, because they are kosher, and for sacrifice," saus Gutfeld – again, that relates to both pagans and Jews. "They were the most common sacrificial animal, for one thing because they were cheap! Not everyone could afford a ram or a goat." Dove sacrifice was also specific to certain occasions, such as birthing women, and lepers who were forbidden to sacrifice other animals, only the unfortunate pigeon. And when you keep numerous doves in cotes, you have guano for fertilizer for the fields, Gutfeld adds. Yet another remnant from the Jewish period was, evidently, tunnels used to hide rebels against the Romans during the Jewish revolts. 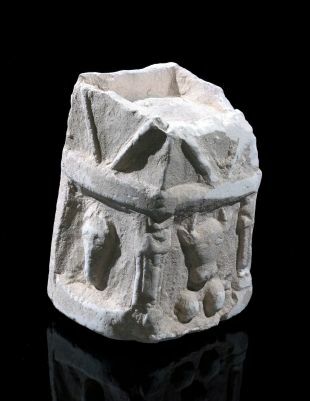 One tunnel was found to contain an intact ceramic cooking pot from the time of the failed Bar Kokhba Revolt (132–135 CE), which ultimately resulted in the Jews' expulsion from the land of Israel for the next 2,000 years.